Standard imprint (no halftones), basic setup, PDF proof and Free Ground Shipping (US48; 1-Commercial Location). 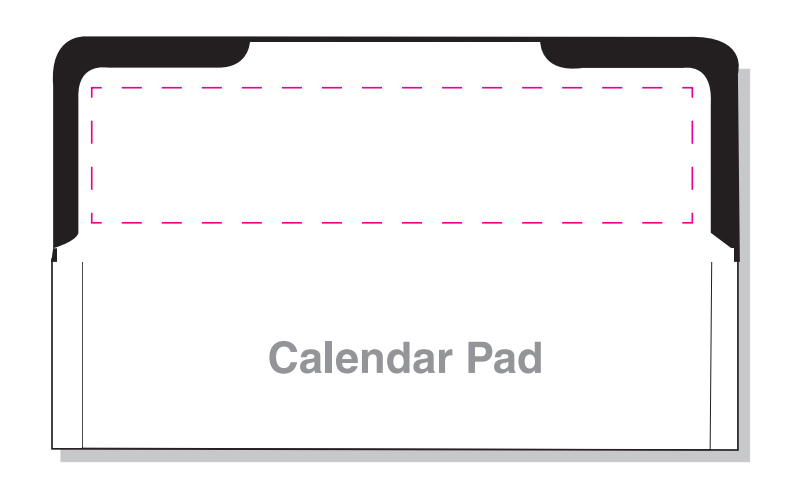 Blank/bulk envelopes included. Envelope style 'A' available. Basic custom imprint setup & PDF proof included! A strong and stable seller redesigned to provide more imprint space. 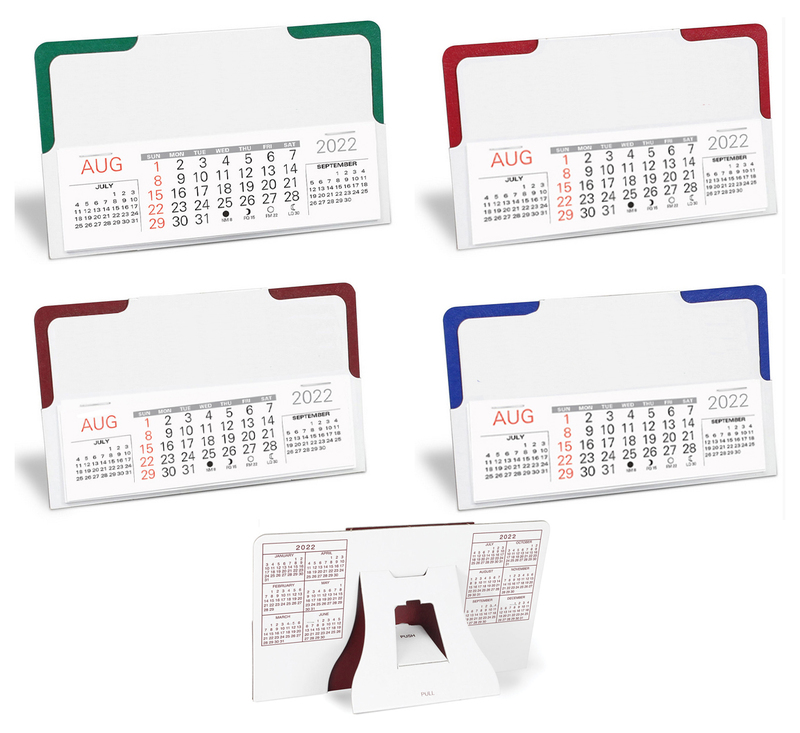 Available in white with 4 accent/imprint color options, this calendar is an attractive and affordable promotional tool. 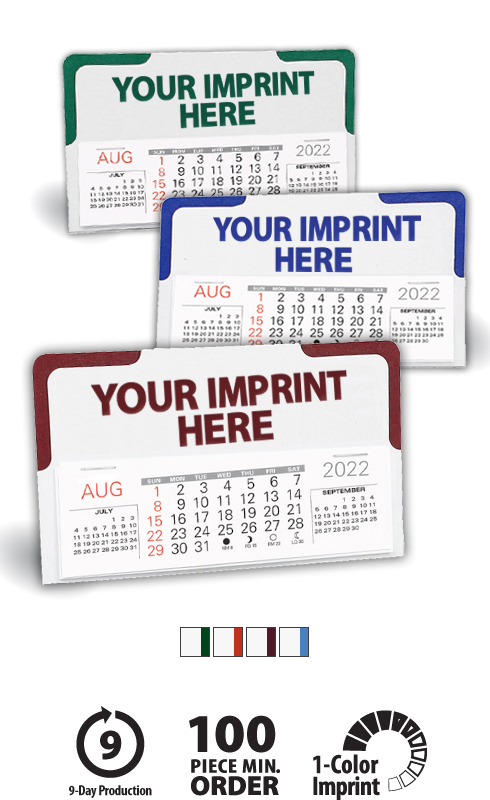 This high-quality custom desktop calendar will proudly display your message for the entire year!